Revamp Your Wood Floors in Mentor Today! Are you less than pleased with the appearance of your hardwood floors in Mentor, but can’t afford to have them completely replaced? 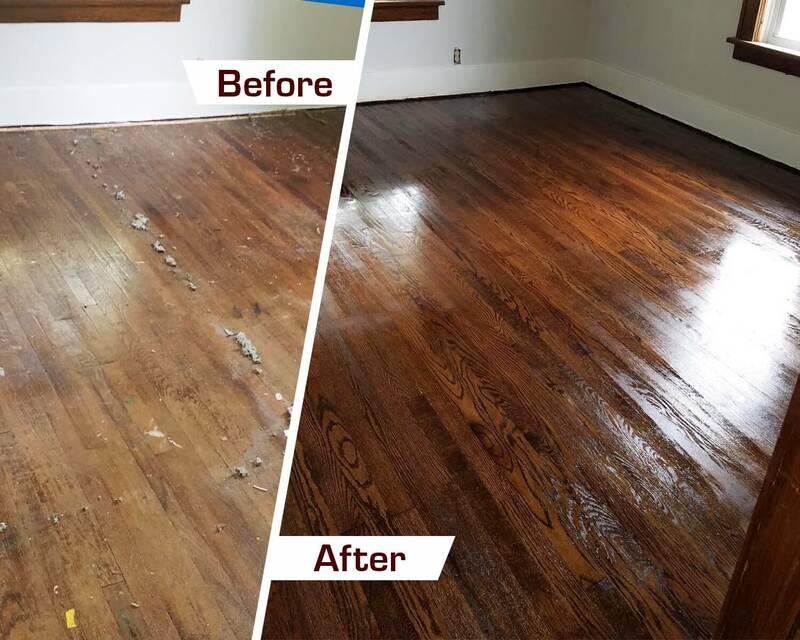 Fabulous Floors Cleveland provides hardwood floor refinishing service in the Mentor area to renew your existing hardwood floors at a fraction of the cost! Hardwood flooring is bound to wear out or get damaged over time. Refinishing or resurfacing is an affordable and easy way to restore the beauty of your home. Our technicians are professional and trained in customer service, so you’re sure to enjoy your experience with us. They promise to work hard and go above and beyond in all that they do. Give us a call today and see why so many customers in Mentor, OH are in love with their hardwood floors again! If there is an existing carpet on your floors, don’t worry! We specialize in removing carpet without causing damage to your floors. We remove the bonded carpet carefully by following the grain of the wood and carefully removing bonding, glue, and staples. We use a chemical solvent that is gentle on your floors. Once this step is complete, we can start the hardwood floor refinishing. our sanding process is virtually dust free! We have a selection of over 20 stain colors for you to choose from. We take care to make sure the stain is applied evenly. We work in a circular motion and repeat the application until the color is exactly how you want it. When the stain dries, we buff your floor to bring out its natural detail and beauty. We finish this step by using a soft cloth to remove any dust or debris. Finally, we apply three coats of polyurethane finish to your floors with a mop-like tool. After 24 hours your floors will be dry and the process will be complete! This finishing coat of polyurethane gives your floors a beautiful gleam and also protects them against future wear and damage. Remember, routine maintenance and regular cleaning will keep your floors looking like new for years to come!